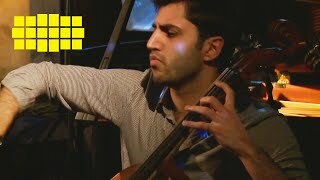 Sonata In A Minor, D.821 „Arpeggione"
Sonata In A Minor, D 821 „Arpeggione"
Listen to Thomas Demenga’s “New York Honk” played by cellist Kian Soltani and pianist Aaron Pilsan. 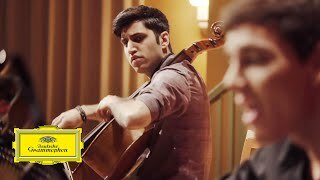 Kian Soltani and Aaron Pilsan perform Robert Schumann's Myrthen, Op. 25 - 24. 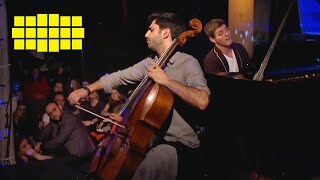 Du bist wie eine Blume in a version for cello and piano live at the Yellow Lounge Berlin held in January 2018. 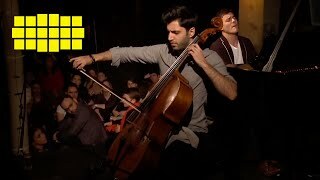 With ‘Home’, his debut album for Deutsche Grammophon and a reverence to his Austrian and Persian roots, Kian Soltani presents works by his favorite composers, Schubert and Schumann, as well as the world premiere recording of Iranian composer Reza Vali’s Seven Persian Folk Songs, written for and dedicated to the young cellist. "Schubert is a composer with whom I grew up and whom I have loved since childhood. Whenever I play his music I simply feel at home." Enjoy a first listen of Kian Soltani's interpretation of Schubert's Arpeggione Sonata and learn more about his connection to the piece. 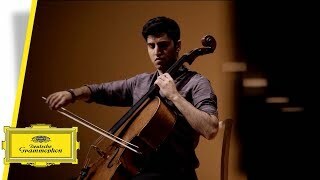 Being only 25 years of age Kian Soltani is already one of the most thrilling cellists of his generation. 'Home' is his debut album on Deutsche Grammophon with his duo partner, Austrian pianist Aaron Pilsan. The repertoire of the album reflects Kian’s Austrian and Persian roots: Including Schubert’s most popular Arpeggione Sonata and Schumann’s Du bist wie eine Blume plus world premiere recording of Iranian composer Reza Vali’s Seven Persian Folk Songs, written for and dedicated to the young cellist. As an “encore", the album includes a world premier recording of Kian Soltani’s own composition Persian Fire Dance.